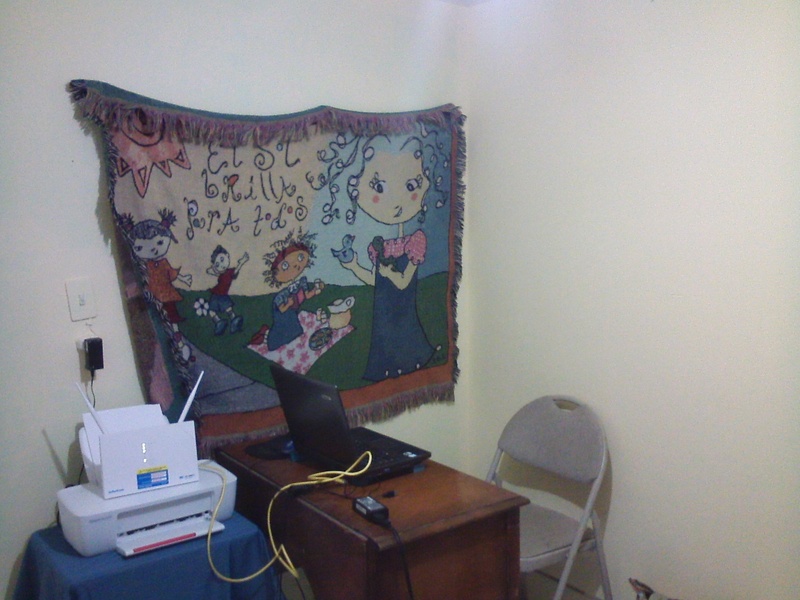 Just because I have stopped renting the Little House in Sunflower Valley, doesn’t mean I don’t need my own office space. Of course, I’ve had to be adaptable. Or rather, we all have had to adapt. A few weeks before we moved, my laptop started giving me issues with the Zoom program that my online classes are taught through. I know the moment it happened, since the class prior to the Zoom update was fine and the class immediately after was not. I tried contacting Zoom who said it was either my computer or my internet. So I decided to order a new computer. I bought a refurbished all-in-one computer at Amazon and I had it a few days later. The problem with Zoom persisted. Plus the computer would randomly turn off. So I shipped the computer back to Amazon. Instead of buying yet another computer, I ordered a camera and started using my son’s custom built computer for classes. I was still having problems, but now I was sure it was the internet. This issue led to the quest for the internet. Then with the purchase of another battery, making the current number 4 batteries for our solar setup, we made the move to La Yacata. The room that was our bedroom prior to the upstairs remodel became the office and guest room. 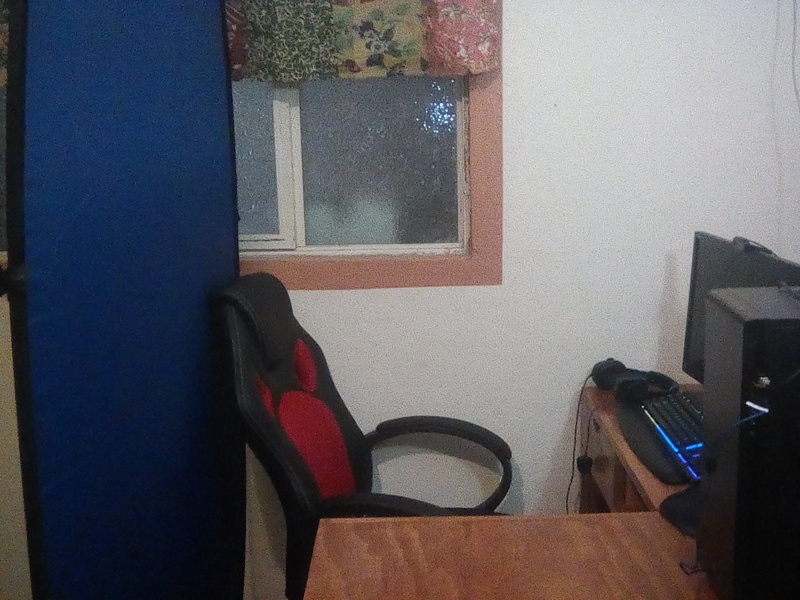 My son’s computer and a desk are in the corner of the room. The huge blue screen that the company I work for requires as the background is suspended from the ceiling. We have a twin bed set up in case of a guest. There is also another smaller desk that holds all La Yacata community paperwork because I am still called on at times to take care of that business. I hung a blanket on the wall to help with the microphone echo. I had my husband move the fan light from upstairs to into this room. The lighting still wasn’t very good for the video I need to teach classes, so I bought a floor lamp as well, which seems to help keep me from looking so washed out. My husband ran the cable from the modem perched in the second-floor window to the office area. After all the work, here I am sitting at the upstairs table on my laptop writing instead of the office. It’s just too dark to be in there all the time, although it works wonderfully for my classes since most of them are scheduled after the sun goes down anyhow. My son and I are sharing his computer. I use it to teach classes, sometimes up to 6 hours a day. I know he’s a bit frustrated with that. My laptop is over 2 years old and just hasn’t adapted well to the Zoom updates. It still works for everything else I need it for though. My son’s computer time has also been limited because of our off-grid setup. With just 4 batteries, we aren’t sure of our electric budgeting yet. Yesterday we did two loads of wash and filled the tinaco on the roof using the pump and used some power tools so by the time evening came around, the charge indicator was orange and my son wasn’t permitted any computer time. In case you missed it, we did two loads of wash yesterday! With the pure sine wave converter, our washer works just dandy. Our other small appliances also work better, the blender, popcorn maker, and fan. So while we still have hopes of a few more batteries, we are delighted with our current creature comforts here in La Yacata. That hasn’t stopped my husband’s drive for change though. He’s got a few more projects underway. See that tan spot in the center of the country that indicates less than 8% of the area has internet? That’s where I live! September was a bummer month for me work-wise. Every other day the internet went out. And if it wasn’t the internet, it was the electricity. Even with the UPS, I missed a number of classes and my performance review for the quarter was deplorable. This caused me to exclaim in exasperation one day that we had more stable power with one solar panel in La Yacata than at the rental in town connected to CFE (the Mexican electric company). 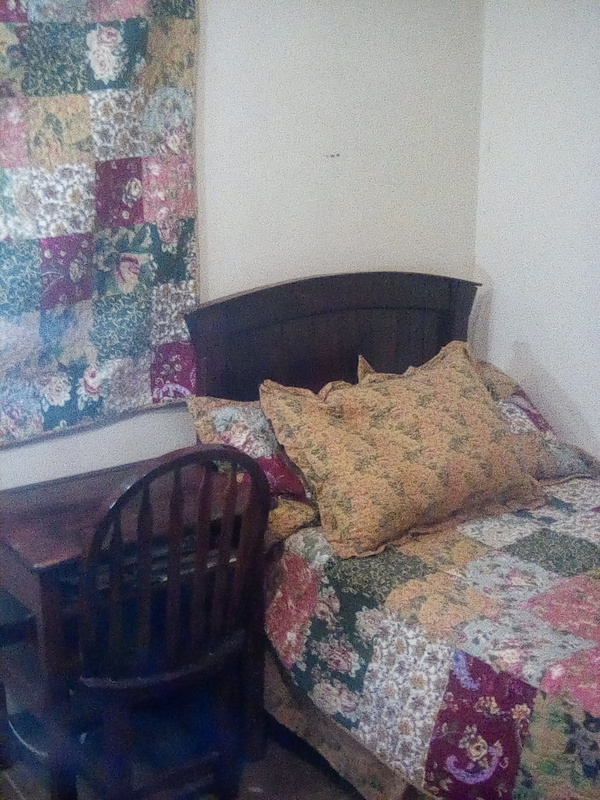 So, with that being the case, I decided to see what I could do to set up my office from home rather than continue to rent the Little House in Sunflower Valley with its myriad of problems. A chance remark had me thinking. One of the ladies that makes tortillas with my sister-in-law is from Los Amoles, which is way up the mountain. She said that they had internet through DishTV since Telmex didn’t have any lines up that way. Therefore, we spent the day looking for the Dish TV office in Moroleon, which we couldn’t find. Apparently, there had been an office, but it had moved out. We went to the main TelCel office to see about satellite internet and talked with a representative about 30 minutes. We weren’t entirely convinced on the whole deal. There were a number of requirements, payment upfront, and the fact that my cell phone is through Telcel and often does not have a signal out in La Yacata. Then we decided to check out a few other places. SkyTV also offered internet service called Blue Telecom which was comparable to what I have now with TelMex but uses the satellite setup like TelCel. Only, an agent would have to head to out La Yacata to see if there was a signal strong enough for internet reception. Okie Dokie. But it wouldn’t be today. Next we headed to a place called Wi-Fi Moroleon. The name seemed promising. Unfortunately, their service only extended as far as Los Juzgados (2 km from La Yacata). They did have solar panels though and we bought two. Then we tried Telecable. However, this company uses electric lines to provide internet. As La Yacata hasn’t any electric lines, it wouldn’t work. On the way home, we came across a Dish TV car parked in the shade of the mesquite tree. We screeched to a stop and had a little chat with their representatives, who were on their way to a meeting in Morelia. They confirmed that Moroleon no longer had a DishTV office but that internet would soon be available in the area and that they were offering 20 megas which was double any other service in the area. It would just be a few weeks…..well, a few weeks in Mexico could be quite some time. DishTv internet service ON coming soon! The next day the SkyTV representative came out with his stuff and lo and behold, we got a pretty good signal. So we signed up on the spot. We had to pay for the modem outright which was the same make and model that TelCel offers but at half the price. Then to sign up for the service we needed an IFE (Mexican voter’s identification card). My husband has one of those. And we needed a comprobante de domicilio (proof of residency like water or electric). Umm, well this was an issue. La Yacata doesn’t have either water or electric service, therefore, we have no bills to provide as proof. Fortunately, the representative said that the certificado de propiedad (owner’s certificate) that we had for our lots would work. Whew! We picked up the modem the next day and plugged it in. Voila! Internet at the house. I’m not entirely convinced it will be adequate for teaching online, however. Cloudy days reduce signal strength and just like TelCel, there are periods when the signal drops altogether. What this means is that I most likely will not continue teaching online once my contract expires in December. As it is, at the Little House in Sunflower Valley I have issues every single class with bandwidth on the lined internet provided by Telmex which theoretically is more stable than satellite internet. So I’m looking at other options for regular income.